Christmas Carols Karaoke app offers 15 classic Christmas carols and songs. All songs come with lyrics and melodies, giving you the option to sing along with your loved ones! Smartphones are always running low on battery, and iPhone is definitely one of them. The release of iOS 5 has brought fantastic OS/app improvements, however the battery life has been negatively affected. Here are 5 tips that actually work, i.e. save precious battery time for your iPhone 3GS/4/4S handset. One of the most important new iOS 5 features is the Notification Screen. Enabling Notifications is a must for the iOS experience, however you should manage the applications that make use of it. Go to Settings -> Notifications and select the apps that you really want to be sending Notifications, leave out all others. Similarly to the Notifications logic, manage the applications that you want to be accessing the Location Services (GPS). Go to Settings -> Location Services and turn off Location where is unnecessary. In case that you don’t need the Bluetooth feature, just turn it off. Go to Settings -> General -> Bluetooth and turn if off. The Weather app on iOS 5 is improved, featuring a handy Weather Widget for the Notifications screen. By default the Weather Widget is looking up via GPS the current location and displays accordingly the weather data. If you are not constantly on the road or just not interested you will save some battery by turning it off. Go to the Weather app -> press “i” on the lower right corner -> turn off Local Weather option. iOS 5 has a time zone option, which when I turned it off had a positive impact on the battery life. It’s quite hidden, so make a note of this post in case you need to find it again for your – or a friend’s – device. Go to Settings -> Location Services -> scroll all the way to the bottom -> System Services -> turn off “Setting Time Zone”. You can also experiment with some other options on that screen, please leave a comment if they do make a difference! There are also some other more drastic measures that will save you battery, however they are ruining the iOS 5 experience. Like for example disabling iCloud or completely disable Notifications, but as a power user I am against them. – Create/modify shopping lists for your favorite super markets or other stores. – Select items from the included database that contains more than 200 items. – Add/edit/delete items from the database. – Store item details: price, quantity, expiration date. – Automatic calculation of the total price for each list. – Simple view and sorting by item expiration date. – Easy search/filtering for the item catalogue. – Sharing shopping list via email (products and details). – In-app help/how to information. 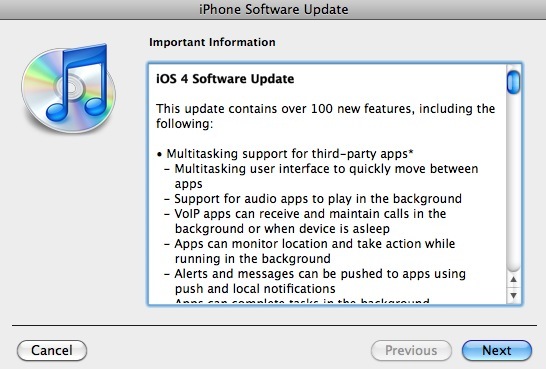 iOS 4 has just been released today, and this is the best iPhone update ever. Sync with iTunes and update right away! About 2 weeks ago I have launched a new web project, called i-apps. It’s a tech blog, specializing in iPhone and iPad applications, news and tips. All articles are written in the Greek language. If you would like to promote your iPhone/iPad apps or related products/accessories to the Greek audience, please feel free to send me some details, or promo codes etc. 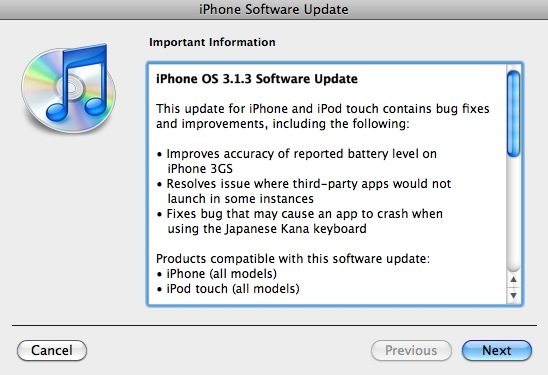 Apple has just released a minor upgrade for the iPhone OS (3.1.3). Google has finally updated the Google Earth iPhone app. Google Earth 2.0 comes with some new features and overall greater performance. Login to Google Maps, and view your own created maps, or custom maps shared by others. Browse photos, Wikipedia articles, business information etc. more easily. Added new languages, now supporting a total of 31 languages. Update/Download Google Earth 2.0 through the App Store on your iPhone to start enjoying the new features.